South Dakota's Department of Environment and Natural Resources (DENR) is in the process of updating the water pollution control permit that applies to the state's concentrated animal feeding operations (CAFOs). Kent Woodmansey, S.D. DENR Feedlot Permit Program Administrator, is leading the update process. The current permit has been in place since 2003 and should have been updated in 2008. That scheduled permit update was delayed by Environmental Protection Agency (EPA) changes to national water pollution regulations that coincided with the update due date. Woodmansey's office held off the updated process in order to ensure that the new permit complied with EPA water quality changes and also took into account the results of some out-of-state litigation related to CAFOs and water quality. Woodmansey says the draft of the new permit regulation is currently under review and open to public comment and input before it is finalized. "This is the informal process of the new permit development," Woodmansey says. "We have held meetings to explain the permit background, permit conditions outlined in the draft and answer questions about the proposed changes. The public has until September 28 to provide feedback and give comments on the draft during this informal stage." September meetings related to the permit draft were available at six different sites through a digital net network. The proposed permit verbiage is also available through the DENR website at http://www.denr.sd.gov/des/fp/cafo.aspx. Comments and feedback can be provided during the formal permitting process, however, changing the permit language is more difficult at that point. "This is the same process we used in developing the 2003 permit update," Woodmansey says. "Entities and individuals wishing to comment on the proposed update are encouraged to do so before the process moves into the formal reissuance period." Todd Wilkinson, co-owner of DeSmet's Redstone Feeders and president of the South Dakota Cattlemen's Association, will bring concerns he and other South Dakota livestock groups have regarding the proposed update. "One of our major concerns is the proposed use of the Natural Resources Conservation Service (NRCS) Code 590 nutrient management policy," Wilkinson says. "That standard, which restricts solid waste application on any frozen ground, would severely restrict producers in terms of when they could apply solid nutrients." Wilkinson says restricting solid manure application in this manner has potential to leave just one or two weeks per year when producers could distribute manure. He sees the policy as a regulation overreach. "The South Dakota Cattlemen's Association partnered with several other state agricultural agencies like Farm Bureau to fund a five-year study to verify the impact of spreading solid manure on frozen ground," Wilkinson says. "The study goals were to assess water quality impacts related to spreading manure in winter and give producers and other agricultural educators and resource managers viable guidelines about timing and application location." That study found that solid manure applied on frozen ground in upland areas with little or no slope produced minimal runoff. Water quality testing targeted nitrogen, phosphorus and suspended solids. "In South Dakota, ground can be frozen by November 1," Wilkinson says. "You can't apply manure in wet spring conditions because of runoff and compaction concerns. It can't be done once crops are planted or emerged. If you wait until after harvest, that could very well mean there's only one or two weeks before the ground freezes." Wilkinson and his colleagues also object to the permit draft's definition of major modification. With the current verbiage, CAFO operators would be required to obtain DENR permission to make almost any change to animal units, nutrient management plans and crop rotation changes. "The crop rotation requirement is especially troubling because we had winter wheat freeze out this year," Wilkinson says. "Because of that, we planted soybeans in those fields. Under the proposed permit update, we would be restricted from planting the soybeans until the DENR approved that crop rotation change. I think the permit's proposed definition of major change needs to be modified." One other concern Wilkinson's group will take to the DENR meeting relates to silage seeps. If the permit is updated as proposed, runoff from any silage source with more than a 30 percent moisture factor would have to be contained. "Silage runoff isn't manure," Wilkinson says. "I've never put up silage that was less than 30 percent moisture. If it was less than that, it wouldn't make silage." 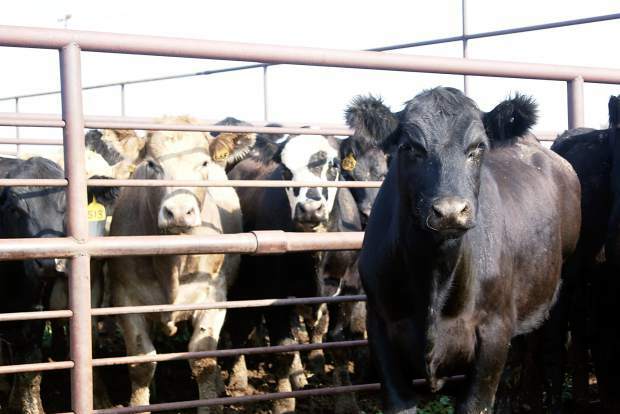 Under the proposed update, South Dakota livestock producers who sell nutrients to a third party would be responsible for any water quality violations caused by the buyer. Another proposed change that concerns livestock producers is related to the details of nutrient management plans in regard to phosphorus. Wilkinson notes that South Dakota's DENR has worked cooperatively with livestock producers in the past. Producers are hopeful that the office will avoid the current over regulation tendency of the EPA. "Nutrients generated in a CAFO don't have a negative value," Wilkinson says. "We've seen significant increases in our soil organic matter through use of the nutrients from our feedlot. We don't want those nutrients to run off or be wasted, either. Farmers are environmentalists, too. They want their ground to be as high quality and productive as possible. "We know the EPA is driving some of this language," Wilkinson adds. "We ask that our regulating agencies use common sense and understand that producers want to do what's right."